Emory Radiology faculty are renowned for their innovative research and scholarship, clinical expertise, teaching excellence, and service. The following is a sampling of the accolades and honors from 2017-2018. 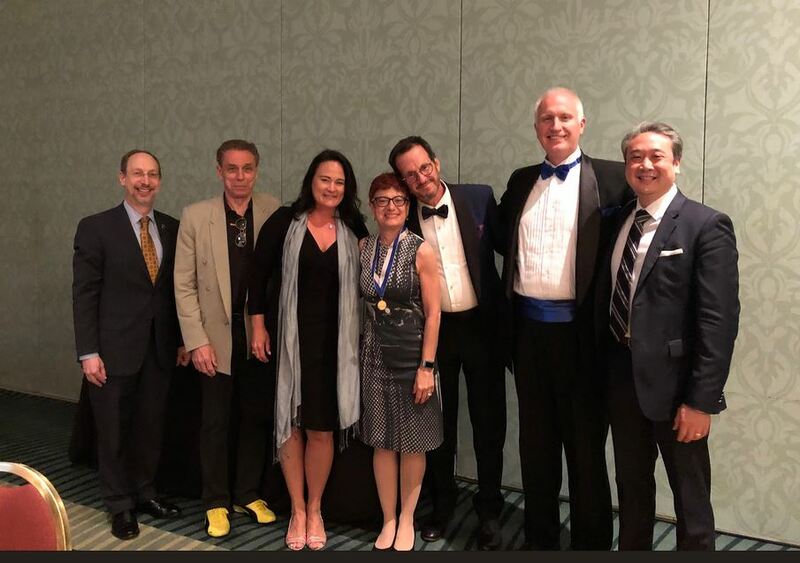 Dr. Jon Lewin (left), Radiology Research Alliance Innovation and Leadership Award recipient; Dr. Carolyn Meltzer (center), Gold Medal recipient; and Dr. Mark Mullins (second from right), Outstanding Teaching Award recipient, celebrate their accomplishments with family and colleagues at the 2018 Association of University Radiologists Conference.